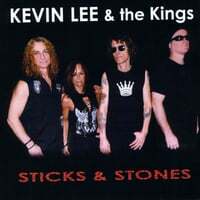 Kevin Lee & The Kings-Sticks and Stones. Let it be known that Kevin Lee is a believer in truth in advertising. His site promises "big hooks & chunky guitars", and once again Lee delivers on his promise with Sticks & Stones. "To Tell the Truth", "How it Feels" is that you'll be "On Top of the World" by picking up this album, so you have "Nothing to Lose" by giving this one a listen. All of these tracks comprising the previous sentence have a strong classic rock DNA to them ("To Tell the Truth" is what you get when you look up "power ballad" in the dictionary), and if it had a cool video and came out in 1983, "Alone" would have been a megahit. So roll down the windows, crank up the stereo and let loose with Kevin Lee & The Kings. 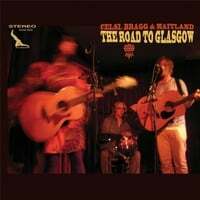 Celsi, Bragg & Maitland-The Road to Glasgow. To celebrate the 50th anniversary of the "Summer of Love" Anny Celsi, Nelson Bragg & Duncan Maitland, three artists well-known to the power pop community, decided to combine forces to tour the UK and record a few tracks on the side and The Road to Glasgow is the result. Celsi dominates the proceedings here, with her charming "The Second Summer of Love" opening the album and an excellent cover of Bob Dylan's "She Belongs to Me" both standouts. Maitland, whose Lullabies for the 21st Century was #2 on my best-of 2010 list, chimes in with "Heavenly Day", a track from his days in the band Picturehouse (as well as "Insect Under the Stone" from Lullabies for the 21st Century) and Bragg covers Paul Kelly's folk/rock classic "To Her Door". It's a fun collection from three high-quality artists and worth your listening time. Irish popster Thomas Walsh has been prolific over the last decade or so, releasing albums as Pugwash and cricket-inspired music with The Divine Comedy's Neil Hannon as The Duckworth Lewis Method (In fact, the Method's "Third Man" might be my favorite song of the decade to date). Walsh is back as Pugwash, but with a twist. Instead of his regular backing band he's opted instead to record with another power pop luminary, Jason Falkner, formerly of Jellyfish and having recorded with Paul McCartney among others. 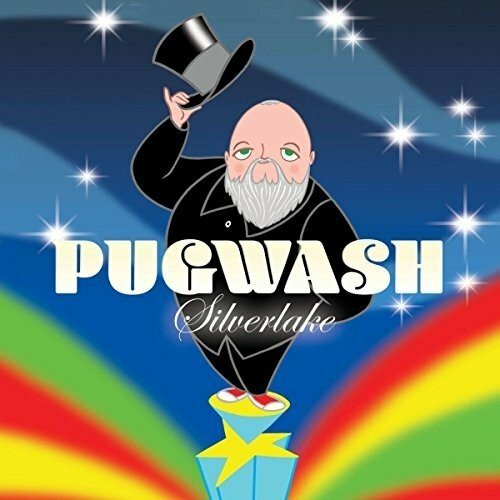 With Falkner on board, Silverlake is the best Pugwash album this decade and a breath of fresh pop air. Someone (perhaps me just now) once said that a power pop record is only as good as its opening track, and Silverlake passes that test easily with "The Perfect Summer", its perfection only marred by a late autumn release instead of in June when it could have been summer's soundtrack with its irresistible chorus and handclaps in the verses. Falkner's presence is felt on the album's second single, "What Are You Like", with his backing vocals on the chorus and guitar solo in the bridge, as well as on "Why Do I", whose angular melody recalls some of Falkner's solo work. Elsewhere, "Without You" and "Everyone Knows That You're Mine" are the kind of top-notch power pop tunes which Walsh can make sound effortless but take great effort to dislodge from your brain, and "Sunshine True" recalls the pastoral balladry of XTC, whose Dave Gregory has worked with Walsh as well. And the album closer is a stunner as well - the dreamy ballad "Autarch" sounds like Jeff Lynne producing Brian Wilson. 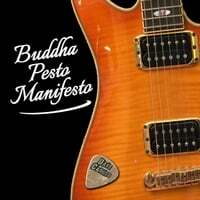 Dave Caruso returns to the (virtual) airwaves with the dad-joke-titled Buddha Pesto Manifesto, after having first caught my attention with his Elizabeth Parker EP back in 2009. Caruso has a slick pop sound informed by Elvis Costello, Squeeze, and of course The Beatles and he puts those influences to good use in "Boomer, Jenna & Lennie" (which also reminds me of Mark Bacino), "Hanging With You" (which could be a Beatles '65 outtake), and "God's Green Acre" (a lovely chamber-pop ballad). Elsewhere, Caruso's gift for Costello-like wordplay comes to the fore with "Punctuating Shatner", in which the verbal tics of Jeff Goldblum and William Shatner are a metaphor for lovers with communication issues. But Caruso's appeal on this album can be summed up by the title of one of its better tracks, "The Girl Who Checks All the Boxes", as he checks all the boxes when it comes to fans of smart, melodic adult pop. 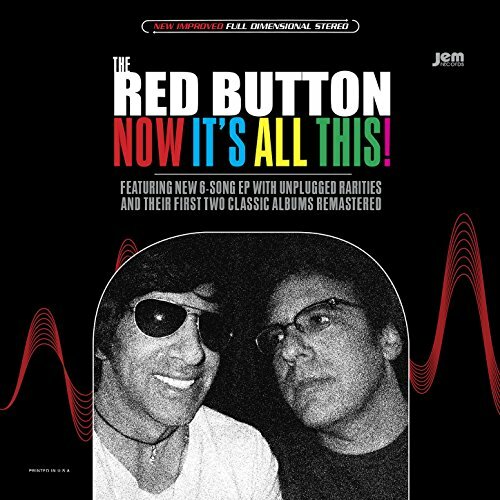 One of the best things to happen to power pop in the last 10 years was Seth Swirsky and Mike Ruekberg, both accomplished solo artists, joining forces to form The Red Button. Their 2007 debut, She's About to Cross My Mind, was a brilliant take on the Beatles and swinging 60's London that wasn't a shameless Rutles-like imitation. It topped my year-end list and several others, and although their 2011 followup, As Far as Yesterday Goes (which added a 70s singer-songwriter sensibility to the mix), wasn't quite as brilliant it was still one of the best records released that year. 10 years later, Swirsky and Ruekberg have decided to commemorate their partnership by releasing Now it's All This! *, a 2-disc compilation that consists of those two full-length albums on disc one, and a second disc that features an EP of 6 new songs and 4 additional "unplugged" (I use the quotation marks because they don't sound that unplugged) versions of tracks from the first two albums. 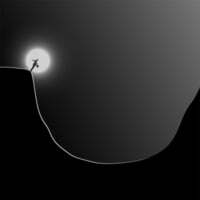 Obviously of particular interest here are the six new tracks. "Can't Let Candy Go" opens things much as "Cruel Girl" and "Stuck in the Middle" opened the first two albums, a Ruekberg raver that draws on Hard Day's Night-era Beatles. His "Behind a Rainbow" follows with what might be the EP's best track, a tale of mismatched lovers with a buoyant melody and chorus. Swirsky's "Tell Me it's Over" is another gem, a midtempo number with Rickenbacker that would have fit in perfectly on the second album. The second half of the EP commences with "Tracy's Party", 2:08 of early Beatles-inspired Ruekberg rocking followed by Swirsky's gorgeous "Solitude Saturday", a ballad that owes as much to Brian Wilson as it does the Fab Four. 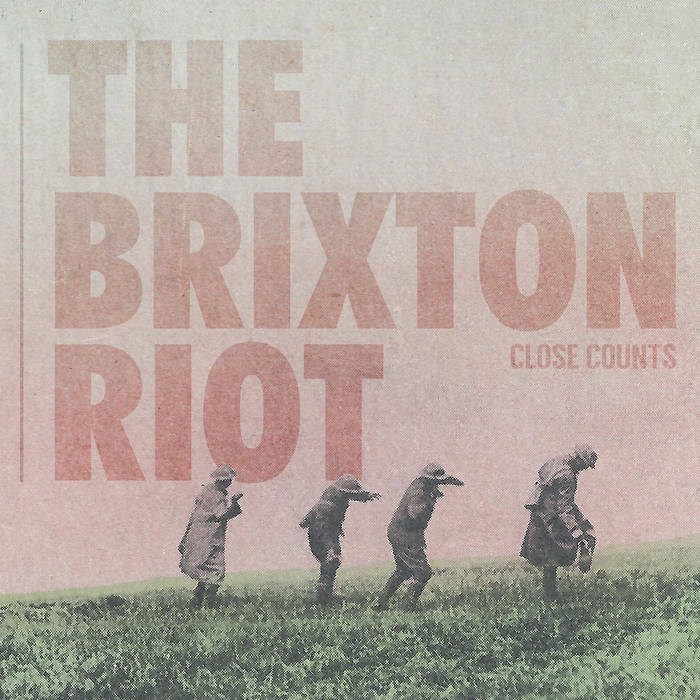 And as on the two albums the closer finds them harmonizing together, this time on the jangly title track. Obviously if you have the first two albums you should just go ahead and individually purchase the new tracks, unless of course you want their full output in one CD collection. And for those who have been under a rock the last 10 years or just started getting into power pop, this is a collection that's not optional. *The title is cleverly an apparent reference to the aformentioned Rutles, specifically Ron Nasty's comment on the brouhaha that resulted from Nasty stating the Rutles were bigger than Jesus. 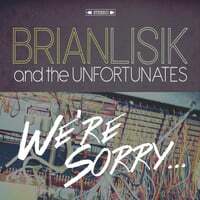 California's Bret Bingham has released a few singles over the last couple of years which I've enjoyed, but I don't normally review singles on this site, especially of artists I've never featured before. But now he's released The Well Curve, a full-length which builds on the promise of those singles and makes for an impressive proper debut. Bingham draws from The Beatles, Queen and Jellyfish, the latter a notable influence on the baroque, piano-based opener "Nothing". "Break You" is an enjoyable pop confection while "Goodbye to Everyone" is a languid, Lennon-esque number. Elsewhere, "Close to You" (not a Carpenters cover) is a pretty ballad with strings, "Scheme" features a power pop sound with a catchy melody, and Bingham saves the album's best track for the ninth position with "My Angel", a bright rocker with an earmworm chorus. The album closes with the stately piano ballad "Amen", and "amen" is what you'll be saying after giving this one a listen.